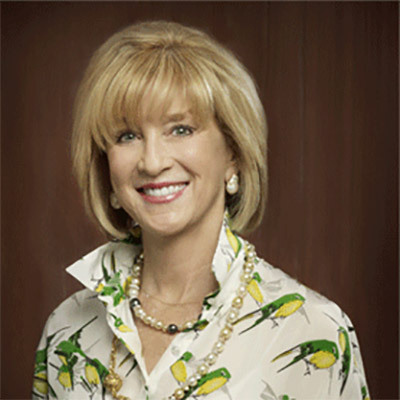 As a fourth generation lawyer and respected and accomplished attorney in Dallas, Debbie Dudley Branson has a strong family history and commitment to her profession. She maintains a passionate belief that individual lawyers have an obligation to be community leaders, public servants, and forces for positive social change. Since 1983, she has practiced with The Law Offices of Frank L. Branson as part of an experienced trial team of a full spectrum of cases. Much of her work is concentrated behind the scenes, focusing on litigation strategies that include focus groups, attitudinal surveys, jury selection, witness preparation, and jury debriefing. While collective preparation, brainpower, energy, and resources are all important for success, Ms. Branson says the firm’s namesake provides the key ingredient. “The real difference stems from Frank. He bring a bold, creative approach to case preparation and encourages each of us to think creatively as we prepare for trial. Married to Frank L. Branson, founder of The Law Offices of Frank L. Branson. The Branson’s two children, Jennifer and Buck, are graduates of Southern Methodist University Law School.